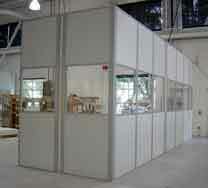 Prefab Custom Designed & Built Modular Buildings. Getting additional space for your business requires a number of factors to be taken into consideration, but perhaps the most important thing is to ensure that the design and layout of the building are suited to your needs. Having more room to expand can be a bad idea if the space that you get from your new building is not suited to the intention that you have for it, the whole exercise can be an expensive waste of time that can cause long term problems for your business rather than just solving them. With custom modular buildings instead of having to change your organization to handle the new accommodation, the new building can be designed and built from scratch to perfectly reflect your needs, and provide you with additional space that is ideal for you. As part of the design process of creating the best possible space for your business needs, the designers of our custom modular buildings will undertake a comprehensive review of what you need from them in terms of space and facilities. Having the right kind of power supplies and phone systems installed within the walls of the building will ensure that your staff are able to enjoy the exact facilities they need in order to do their job properly. One of the main advantages of a modular construction system is that the various walls and internal partitions are all prefabricated, and can be moved around as required when your needs change. The custom modular buildings that we offer are designed to meet your needs now and into the future to ensure that you get the best possible value and use from your additional space. When you start the process of ordering a custom modular building there are a number of important factors that you need to consider, including what the actual space requirements and space availability are. Our designers will help you to make the best possible use of the available space in order to accommodate your staffing requirements, and can offer assistance about whether to choose a single or two story building. The actual construction of a custom modular building to your specifications is a comparatively short process. Unlike traditional building methods, where almost as much time needs to be spent on setting the foundations and underpinnings of a structure as is spent on the walls, while actually fitting out the interior of the building can be a lengthy process that is particularly frustrating. 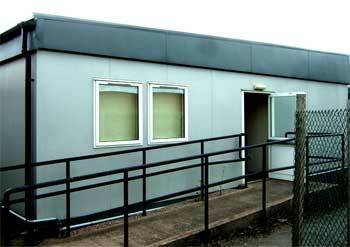 With modular buildings, the time that construction takes is slashed to an absolute minimum. All of the panels are pre fabricated at the factory, and include all the interior decoration as part of the structure. Because of the fact that the building is simply knocked up from the kit of components, and so little preparation work is needed to get the site ready before the building is raised, the actual time taken to get it to the stage where you can move your staff in is a matter of days rather than months. The reduced lead time involved in preparing and building a custom modular building to your exact specifications means that your business will be more able to adapt to changes in its market without having to rely on long term strategies, or make expensive investments in new premises and construction work. 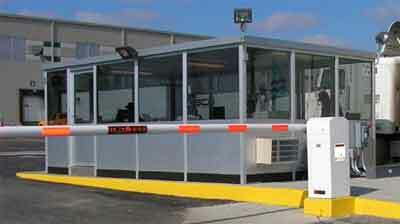 Also, having new office or commercial space that is designed and built to your exact specifications, you can be sure that your staff will not only have the additional space they need, but will also be able to gain access to all of the equipment and power they need to do their job, while the high quality of materials and construction provided by Easy Rack custom modular buildings will give them an environment that is comfortable, modern, and clean. As you continue to read through our selection of Custom Modular Buildings, keep in mind we stand ready to answer any questions you may have about our offerings. Call us at 1-888-776-3720 whenever such questions arise and let us help you make the best investment within your budget. We are located in Houston, Texas.